Breeze blocks, aka decorative concrete blocks, were used throughout home & garden design in the 50's and 60's for various reasons. Mostly, it seems, to provide privacy like a fence, but the ability to allow air to pass through. While I think many people see exterior examples, I've also seen some examples of interior use as well on home tours and photos. Since our home is currently a/c free, but has many large windows, we were hoping to add a breeze block wall outside our floor-to-ceiling windows in our master bedroom. Currently, we have pinch-pleat drapes, which work fine to filter the sunshine from the East in the morning, however, they are a bit "fussy" for my personal decorating taste and I'd like the window "naked". If at all possible, I'd prefer to combat the sunshine from the exterior. 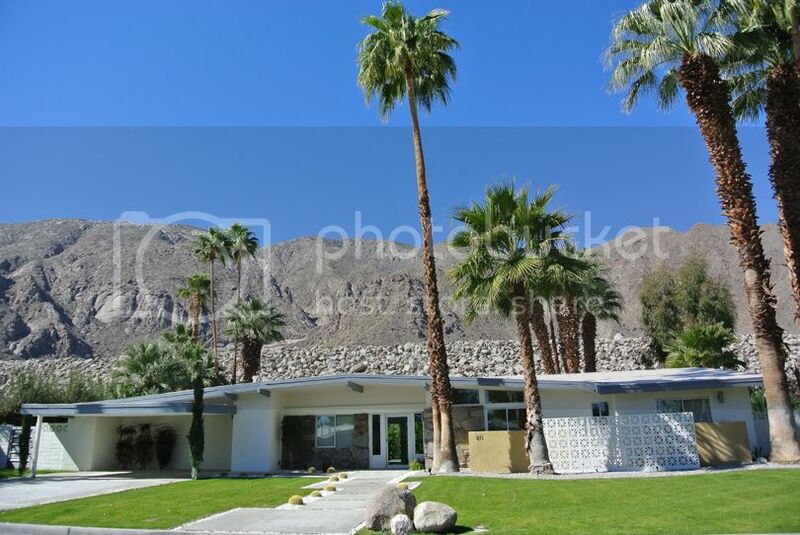 In Palm Springs many of the homes have their original breeze block walls. Here's a great example (above) of a private area on the front of a home made possible with breeze blocks. Right here in West Michigan there are plenty of great examples. One of the larger, decorative walls located downtown Grand Rapids is very popular with photographers - I've seen many family & wedding photos taken in this location; it provides a stellar backdrop. 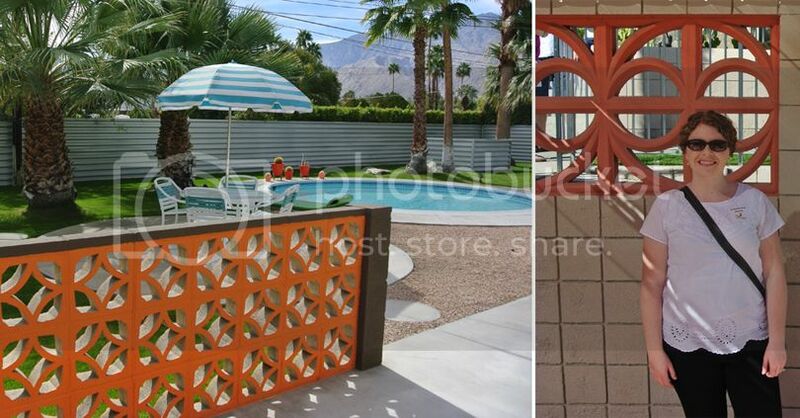 But, what's a retro-loving gal to do when she'd like to add one to her home, but cannot get the blocks locally? Retro Renovation put together a list in 2010, and much to my surprise, there was a Michigan vendor on there. I called them up last spring, and unfortunately, they had just gotten rid of the inventory they had, because it was just sitting there, collecting dust. Wah-wah; I may have cried. So, the search continues. My dream is that someone locally will get rid of theirs and offer it up "for free" on Craigslist if I come haul it away myself. The search continues! And if anyone has a resource for me, I'd love to know. Greg & I are even willing to make an out-of-state drive to pick this stuff up!